DAVID LE/Staff photo. 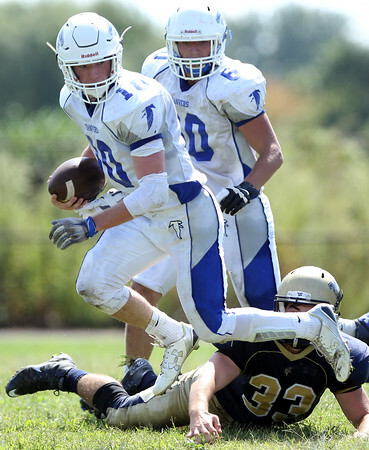 Danvers junior Matt Andreas leaps out of a tackle and turns upfield. 9/12/15.